‘Tis the season for decorating! If you’ve been to a local big box store lately, you’ve probably already seen the aisles of holiday decor pop up. With green and red everywhere, it may be extremely tempting to go wild and buy tons of decorations. Especially, if you tend to find yourself in a friendly competition with your neighbors like Clark from National Lampoons Christmas Vacation. However, going all out on holiday decorations can get pretty pricey even if your just putting up a few decorations. Here at Zebit, we’re all about getting control of your finances and spending wisely. So we’d like to share our decorating hacks to help you save some money this holiday season. At your next holiday gathering, have everyone bring a gently-used holiday item from their current decor collection that they do not want anymore, or are willing to part with. Then, play a fun white elephant swapping game to trade-away an item you don’t want, in exchange for a friend’s holiday item that you may love! As they say, someone’s junk is another person’s treasure! Plus, it’s free! Thrift stores are a great way to save some money year-round, but they can be your MVP during the holiday season. You may not be able to put together the most modern of looks but you will be able to pull together a fantastic, nostalgic look this year. It might take a few different trips to a few different stores, but you should be able to find the pieces you need to make your living room a little cheerier! Another way to make your money go a little further, is to spruce up your old items. Gather up your old decorations, recently thrifted items, or unwanted items from friends and family and jazz them up to fit your style! Some of you may be thinking, “I’m not good at D.I.Y’s” or “that’s going to look like a hot mess.” Trust us, we’ve been there too. But there’s a variety of great tools out there, like spray paint, to help make those nostalgic items look brand new. When in doubt, we recommend heading to Pintrest to help spark D.I.Y inspiration. 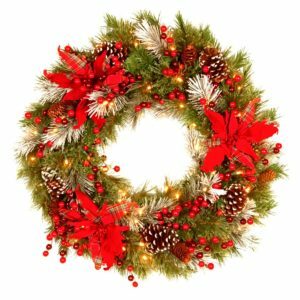 As an example, take some extra Christmas tree branches and add to a wreath you have in storage. A little “sprucing” can go a long way! One of the best ways to save money when holiday decorating, is to think long-term and invest in materials/decorations that you can use for years to come. So while it may be tempting to scoop up some last minute cheap decoration bundles, during your next trip to the store, you’ll actually end up spending more money over the years. Especially if those decorations don’t survive the packing and unpacking that many decorations see year after year. Another benefit is building the tradition of decorating with the same decorations every year, putting the same wreath up, using the same candles to decorate the mantle every year, hanging the same ornaments on the tree, all of these things start by buying the right decorations. 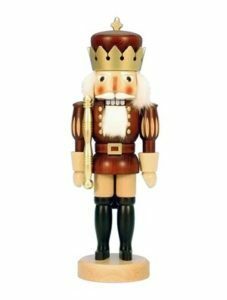 Another way to save money this holiday season is by purchasing your decorations through Zebit. Take a look through our Zebit Marketplace and you’ll find a variety of different holiday pieces that you can pay for over time! 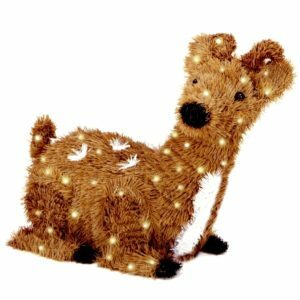 There are outdoor decorations such as a cheerful, light-up reindeer or a holiday wreath, and some amazing ready-to-plug-in Christmas trees that you will have for years to come. 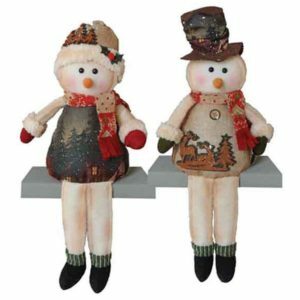 Utilizing Zebit for both your decorations and your gift giving this year, will stretch your dollars farther this season and you’ll only pay a portion of the price at checkout and the rest over time! The Holiday season is an exciting time but sometimes we can all get a little carried away when it comes to spending either on decorations or just spending on gifts for others. We’re here to help provide you with a few different ways to help stretch your dollar further and get the most out of your hard-earned cash. Let us know if you have your own way of saving money when decorating for the holidays!